Going to summer camp is one of the largest, most significant decisions a parent can make for their child. As parents we want our kids to become self-confident, independent, resilient individuals, who are prepared to meet the challenges of today’s world. Each day at Camp Can-Aqua we strive to achieve this exact outcome. Through compassion, caring and outrageous fun, our camp is where future leaders come and thrive! Summer Camp offers a unique environment. Living away from home provides campers with a community living experience without the influence of parents or teachers. 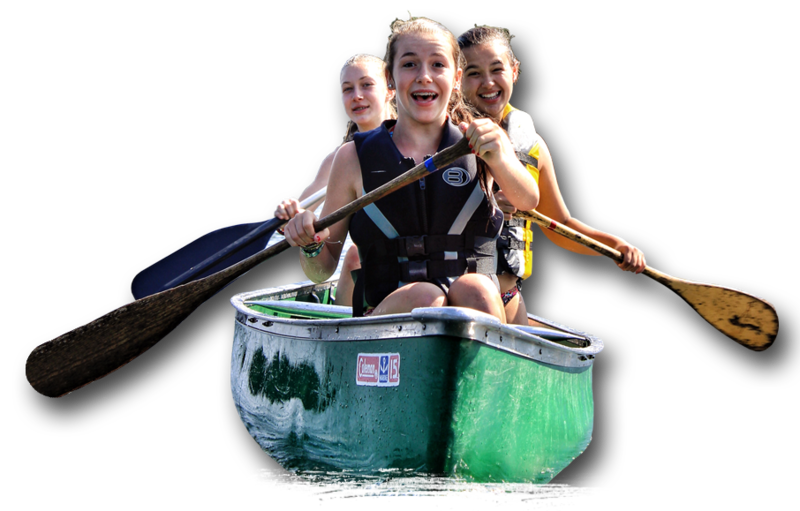 This experience is led by well-trained camp staff, whom are viewed as peers and friends. Living together with their peers, summer campers develop the critical social skills needed to succeed in life. Getting along, developing tolerance for others, and learning to resolve differences so that everyone feels good about themselves are fostered and encouraged. Compromise is one of the greatest characteristics taught at Camp Can-Aqua. Below is a more detailed description of the benefits of summer camp. Written by our founder, it underlines the viewpoint above and helps to provide a better sense of just how important we feel the camping experience is to children. Why do I say camp is a necessity? There are many good reasons. Here are what I think are the most important reasons. Camp provides an important part of what parents are trying to achieve in raising their children. Parents want their kids to become self-confident, independent, resilient individuals prepared to meet the challenges of today’s world. Living away from home provides a community living experience without the direct influence of family, or stresses associated with school and learning. Campers are led by well-trained staff, whom are viewed as peers and friends, rather than teachers or surrogate parents and consequently have a powerful influence. Living together with their peers develops important social skills. Getting along, developing tolerance for others from diverse backgrounds and habits, and learning to resolve differences so that everyone feels good about themselves are fostered and encouraged. Whether cleaning their cabin or working on a skit for evening program or campfire, campers learn to work together toward the achievement of a common goal and emphasizes the importance of cooperation, persistence and integrity – important life skills! By the end of a two week session campers are amazed at how much they accomplished – without their parents! We know that a healthy self-esteem builds confidence, independence and encourages the willingness to try new things! All our staff were once campers at Can-Aqua. They lived the life. They know the value of praising the effort rather then criticizing the result. They know that if a camper is commended for trying, they are more likely to continue an activity and in time will develop new skills and abilities. This positive nurturing fosters a sense of accomplishment, an important step toward developing a resilient self-esteem. At Camp Can-Aqua we have fun. We know that when kids are playing and having fun, learning and self-development happens, and they don’t even know they are in a ‘learning’ environment. All the activities are approached light-heartedly but there is structure and skill development built into everything we do. Campers can work toward earning awards in many of our activities. Advancement is based on learning and successfully executing new skills. Summer camp counsellors supervise activities and group interactions in a constructive manner. There are just enough rules to facilitate play, skills to learn, and strengths to build on. There are friendships to be cultivated, decisions to be made, and successes to be experienced, all in the name of fun! Can-Aqua is one of the greatest camps Canada has to offer.